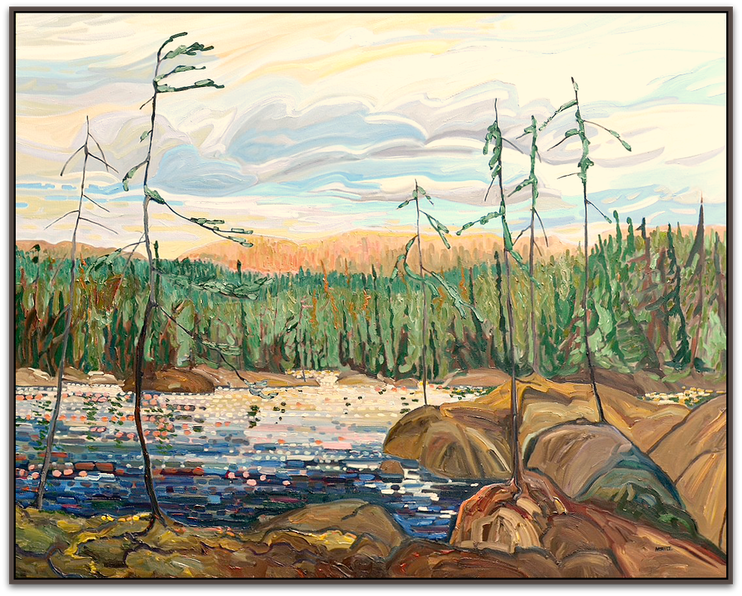 40" x 96" (4' x 8') oil on two canvas, dyptic. 22"x20" oil on wood, framed. Available at L'Oree du bois, Chelsea, Quebec. 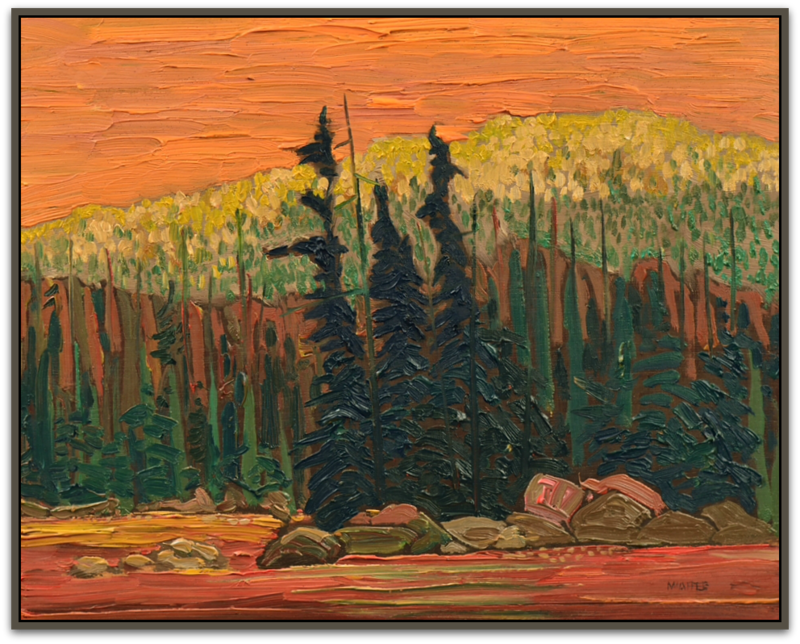 This scene depicts the actual path I took to get to the property of the Founder of Gatineau Park, Percy Sparks. He is long gone, and his house, through mysterious circumstances is also now gone. To be shown for the first time in public at l 'Oree du bois, Chelsea, Quebec. "Tempête sur le lac Meech"
Storm over Otter Lake /Tempête sur le lac à la loutre. 2/10 "Ten Gatineau Sketches". To be seen for the first time in public at the Vernissage, October 11, l' Oree du bois. When you enter into Quebec via Ottawa it is not long before you begin to see those big mountains that seem to sit like massive boulders on the land. Boulders that take hours to drive around and are too steep for the average hiker to climb, so we enjoy from the ground or the water the vista they provide. Here is one of those mountains as it rises on the west side of Meech Lake in Gatineau Park, Quebec, just twenty minutes from Ottawa. I've taken the liberty of highlighting the rocks to better present the majesty of them. McDonalds Bay, Gatineau Park, Quebec. from a recent canoe trip through the area. Beaver Dam, McDonalds Bay, Meech Lake. When Jean-Paul and I paddled around the North tip of Meech lake we encounter much bog. How impressed I was to see JP hop out of our canoe, in water up to his now soaked belt, and shoved the canoe with me in it (cradling my very expensive and not waiting it to get it wet) camera! I'm sure he thinks Im a wimp from the city! But as soon as we got going again we came upon a group of very active, very large beaver dams. This is just one of them. Local illegal cottage development is threatening these little sharp toothed critters and their babies. Years of beaver nesting could come to an end if the land development doesn't stop. I hope this little board painting inspires more to speak up about this matter. Jean-Paul, thanks for jumping into the water. I might still be sitting there right now if you hadn't. Note the size of this one, 4" x 6". I've been particularly enjoying doing some small paintings lately and this is the smallest to date. About the size of your cell phone, I guess it almost qualifies as a miniature. 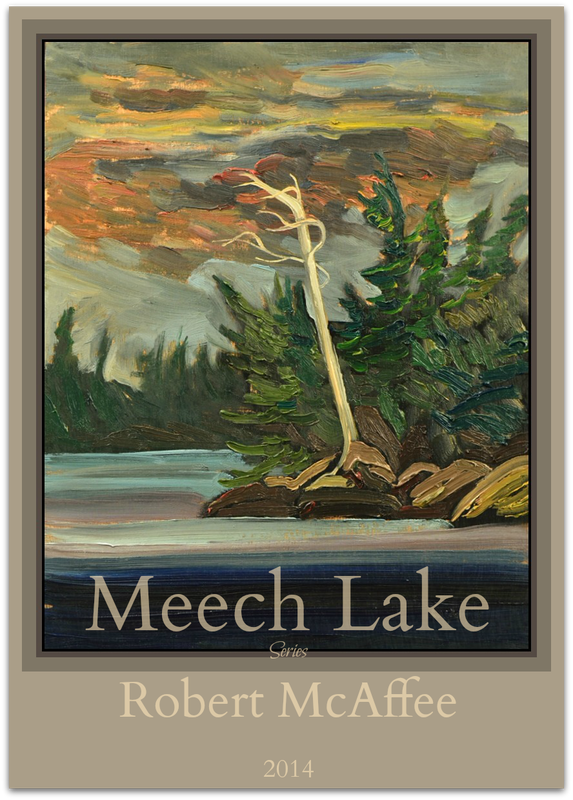 On Meech lake there is a stand of deadwood which appears to me as a giant sword guarding the Lake. Only those who love and wish to preserve this beautiful Lake may enter. Thus the inspiration for this painting. 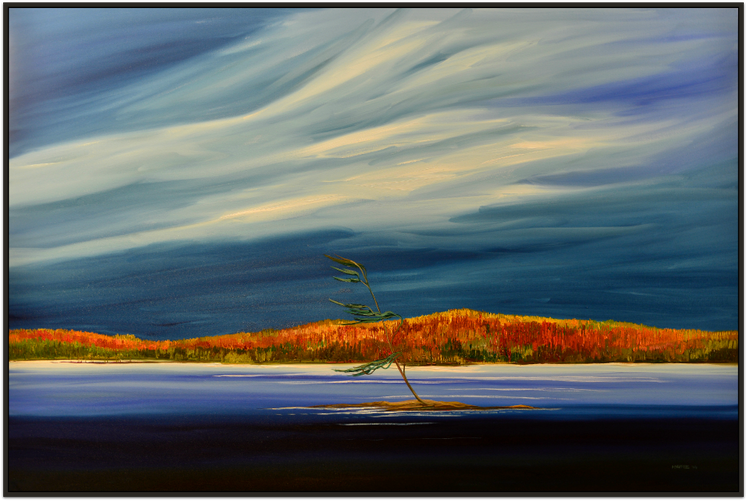 Now hanging and available for sale at /'Oree du bois Restaurant, Gatineau Park, Quebec. 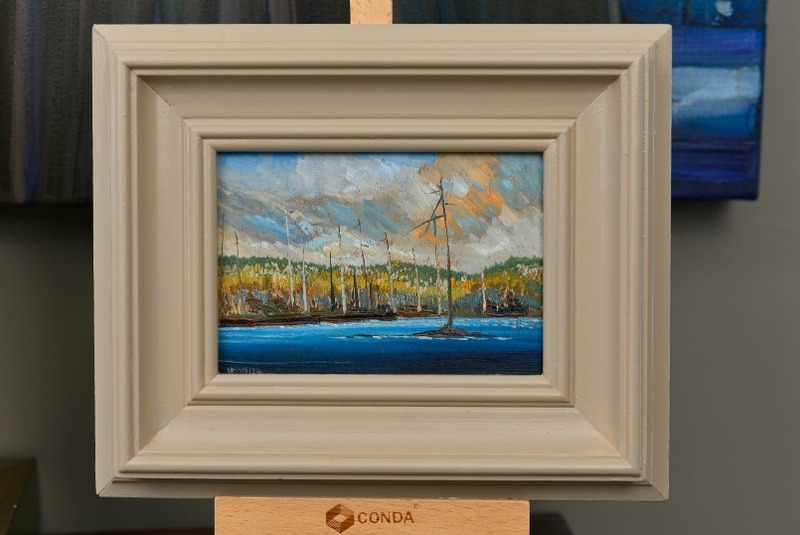 Stillness of the Evening, Lac la Pêche, Gatineau Park, now installed for viewing and sale at l'Oree Du Bois, Gatineau Park, Que.